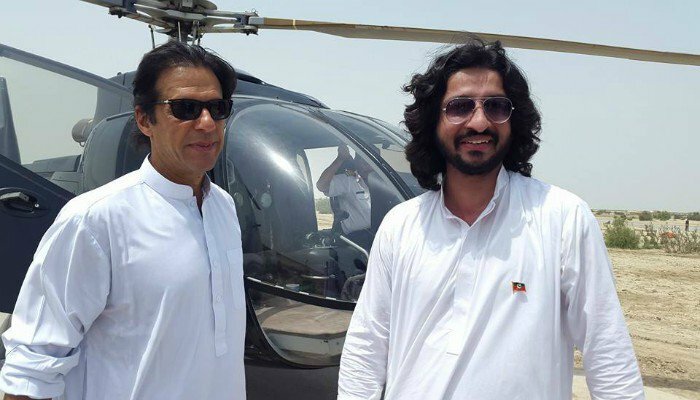 LAHORE: Pakistan Tehreek-e-Insaf (PTI) chief Imran Khan on Monday nominated Dost Mazari for the slot of deputy speaker in the Punjab Assembly. Mazari had won the polls from PP-297 constituency of Rajanpur-V by securing 56,113 votes. The party has already nominated Pakistan Muslim League-Quaid (PML-Q) leader Pervaiz Elahi for speaker and PTI leader Chaudhry Sarwar for Punjab governor. A session of the Punjab Assembly will take place at 10 am on August 15, in which the newly-elected members will be administered oath. The speaker and deputy speaker of the assembly will be elected on August 16, after which the new chief minister will be elected through secret ballot. PTI Chairman Imran Khan on Monday said the party is yet to finalise a name for Punjab chief minister. While addressing the media outside Parliament House after taking oath as a member of the National Assembly, Imran said that the decision has not yet been finalised, adding that he will celebrate Independence Day with “utmost enthusiasm”. “I will celebrate the Independence Day with the utmost [fervour],” he told reporters. Imran, widely touted to be the country’s next prime minister, was sworn in as an MNA during the inaugural session of the 15th National Assembly on Monday, which marked the third consecutive democratic transfer of power in the country. Meanwhile, PTI Vice President Shah Mahmood Qureshi vowed that the party “will do its best to deliver on the public’s expectations to resolve the problems faced by the nation”. The PTI leader added that the decision on where Imran Khan would reside after becoming prime minister would be made soon.